It can be difficult to know where to start when it comes to kids fashion trends in 2018. Today we are inundated with a whole range of places to shop and sources of inspiration for junior style, but how do we know what’s right for us and our kids’ individually? One great place to start is by looking at kids’ fashion and style blogs; though there is a multitude of options out there covering all tastes and lifestyles, these blogs can help you figure out what works for you before you commit to buying. 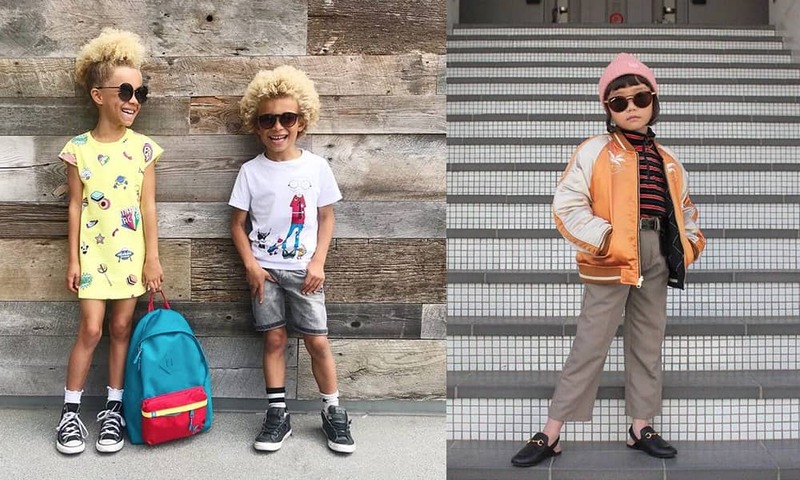 From high-street to high-end, the possibilities are endless and it can, at times, feel overwhelming, but this guide has been created to help you categorise these kids’ style blogs to make it even easier for those of you with busy lives. If you’re searching for runway-worthy high-fashion street style looks, then look no further than Coco, otherwise known by her Instagram handle, @coco_pinkprincess. 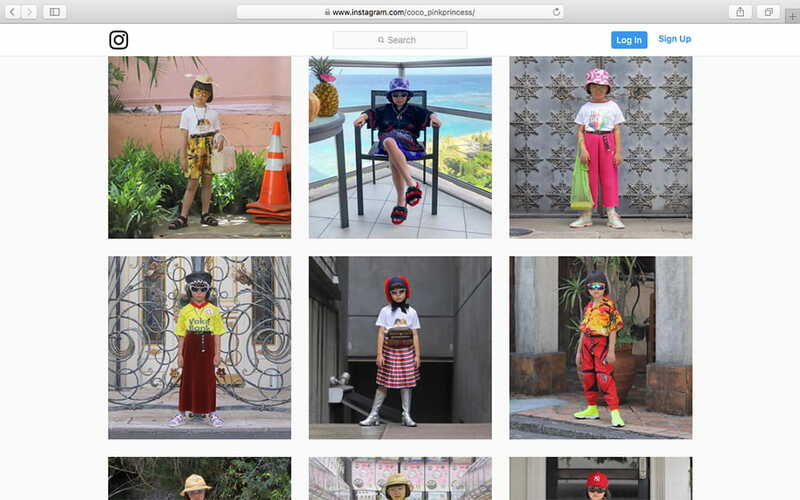 At just 7 years old, Coco has nearly 600,000 followers on her Instagram which is run by her mother and showcases a whole host of carefully curated looks that take inspiration from the catwalks of high-end designers and popular street style stars. Coco has become a hit with big names in the fashion industry, several of which can be seen photographed beside her in her posts, but you can also spot Coco sporting a range of looks which enable her to live a (relatively) normal life for a 7-year-old, seen playing with a skipping rope and enjoying tea parties. 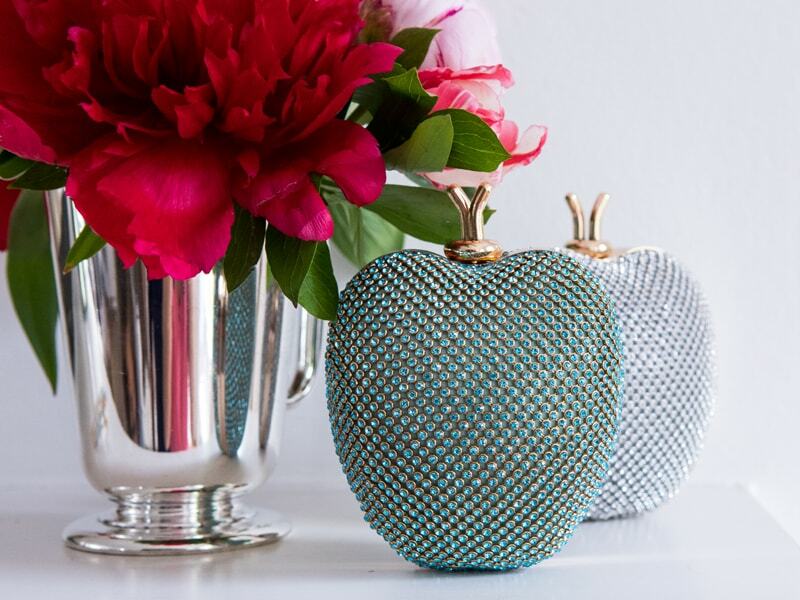 Coco’s blog is perfect for those of you wanting to recreate looks you may have seen from high-end designers or if you’re looking for something more ‘put together’. However, do note that Coco’s wardrobe is not the most budget-friendly, and she can be seen wearing brands including Chanel and Gucci as part of looks that are perhaps more editorial than practical, though inspiration-worthy nonetheless! Stella, 7, and Blaise, 5, are siblings who both started modelling from three years old, giving them an early start into the world of fashion and style. With 68k followers on their fashion-based Instagram (@stellaandblaise), the pair shows off their own individual styles and unique bond in frequent posts together, while also demonstrating a range of solo looks. However, Stella and Blaise’s Instagram is also family-oriented, with the duo often photographed alongside their mum and dad and taking part in family activities. Aside from Instagram, the siblings also have a YouTube account, where you can see more of their personal style in their clips which cover fashion and a whole range of other activities. Stella and Blaise will be a great source of inspiration to siblings who bond over a love of fashion, but also to those of you who simply want affordable prices without having to compromise great style. Handily, you can also see where all of Stella and Blaise’s items are from as these are tagged in the description of each post, making their blog all the more accessible and easy for you to use. With 18k followers on Instagram, Zuri (@____zuri) is a child model with a bold and fun sense of fashion and a good sense of humour. Like Coco, Zuri’s posts document curated, on-trend looks that imitate the street style stars, but Zuri’s Instagram is also full of funny memes, motivational quotes and pictures with her mum and family that give her blog a more family-oriented vibe. Zuri’s outfits are full of bright colours, wacky sunglasses and a variety of styles that can take you from day to night and casual to formal, providing a bit of something for everyone. 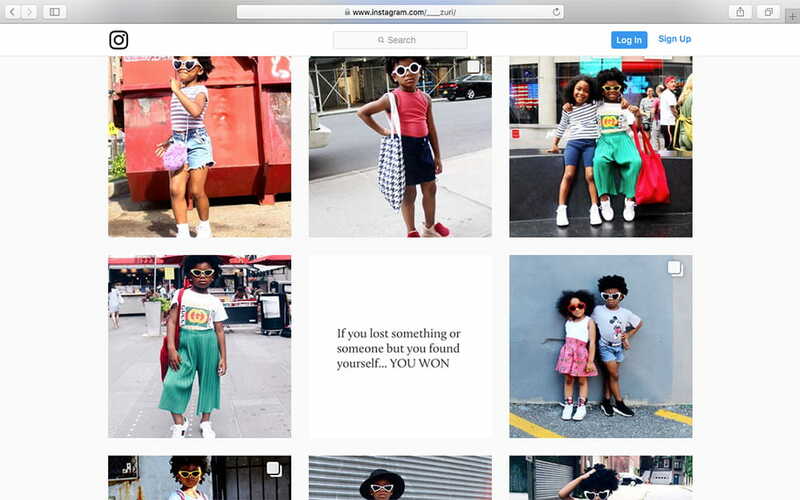 However, Zuri’s posts do not give all the relevant information on where her clothes are from, making it slightly more difficult to steal her style straight from Instagram. Instead, take note and find alternatives, and fuse your own style with Zuri’s for a totally unique look. 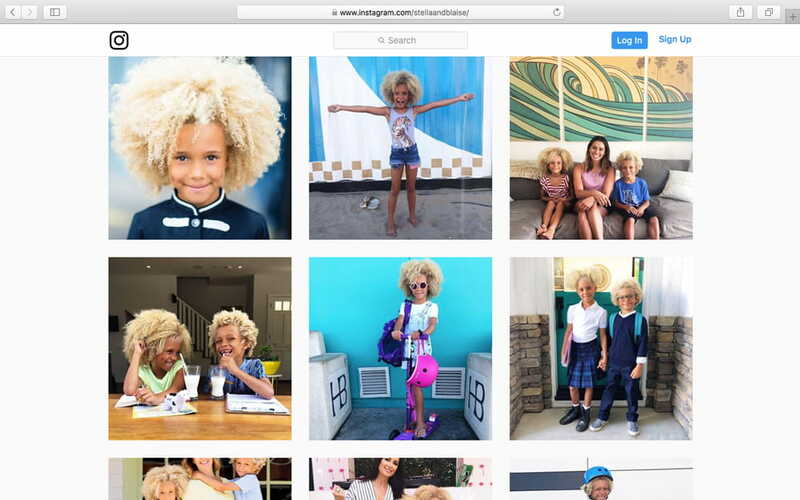 Smudgetikka is a kids’ blog which was started by Linda McLean, who is a professional in children’s fashion and is currently the Fashion Editor at Family Traveller Magazine, giving her a thorough knowledge in all things to do with kids’ style and culture. Her blog is split into six main categories to help you navigate the website: Art, Culture, Design, Fashion, Lifestyle and Photography. 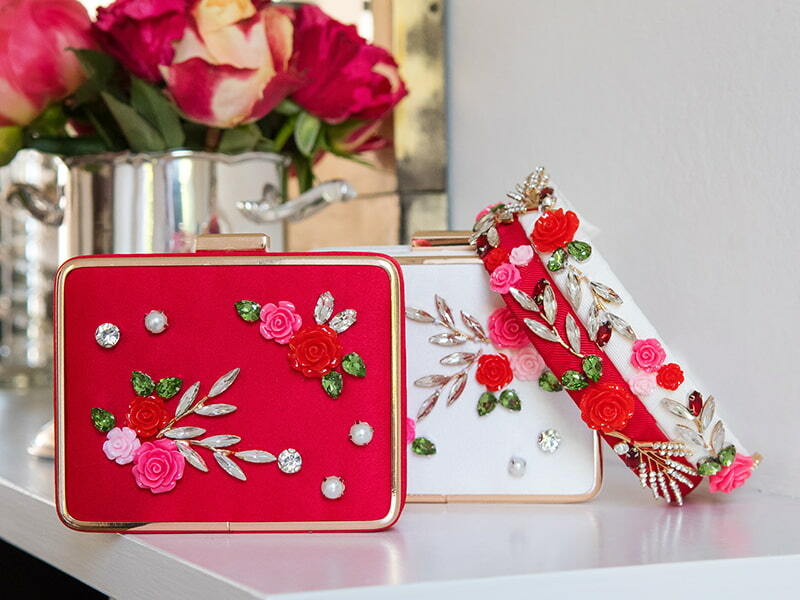 Its fashion pages are full of lookbooks, reviews and editorial photoshoots to not only give you clear information about latest trends and where to shop but also ideas from high-end designers to give your kids’ wardrobes an injection of unique style. Despite the divide into categories, many of the articles and features on Smudgetikka overlap and fall into more than one section, which can at times cause a little confusion. However, the articles themselves are clearly labelled and their content is detailed and informative, ensuring that you can get exactly what you need from whatever piece you’re reading. 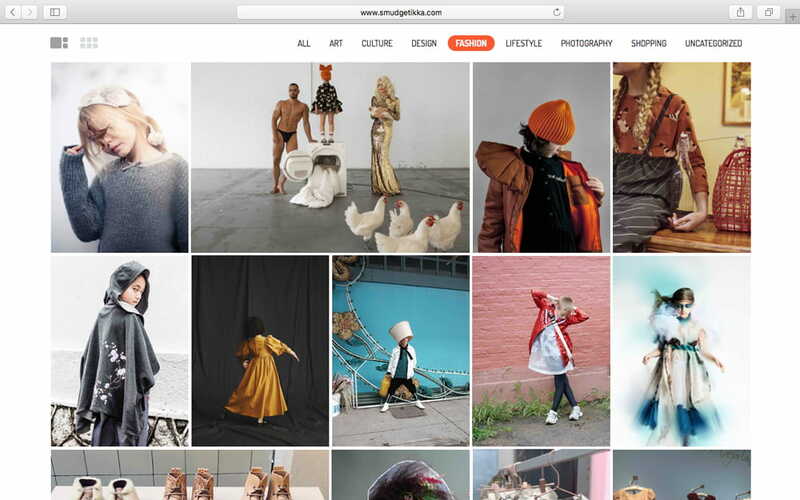 Aside from its style pages, one of the great things about Smudgetikka is its reviews of fashion exhibitions which are a perfect way to enjoy fashion together and are always a source of inspiration. 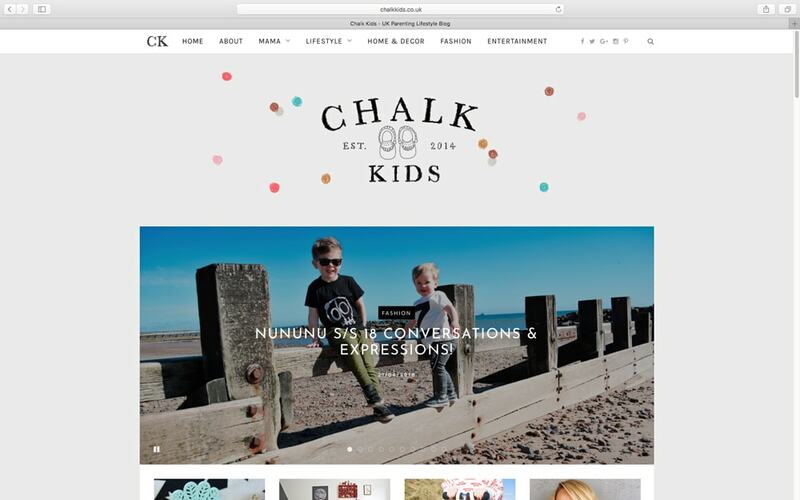 Chalk Kids, started by mum of two boys, Steph, is a UK parenting blog “dedicated to modern families”. Steph is a freelance writer who first started her blog to share unique brands she’d found with other mums as a way to explore the little-known world of kids’ fashion. By creating a positive space where she could connect with other parents, Steph’s blog has since gone on to expand to include sections created specifically for mums (‘Mama’), a ‘Lifestyle’ section comprising food, DIY, interviews and travel, a ‘Home and Décor’ section and much more, making Chalk Kids ideal for researching both kids’ fashion trends and all your lifestyle needs for you and your young family. Chalk Kids’ ‘Fashion’ section is particularly practical and informative; ranging from school uniform tips to collection reviews from independent brands (http://chalkkids.co.uk/2017/08/gray-label-aw17-my-way/), you can find a variety of posts tailored to all different age groups, tastes and needs. One of the only disadvantages here is that posts are not updated very frequently, but on the plus side, they always deliver high-quality advice so they’re worth the wait! Trina is a self-proclaimed “fashion-obsessed shopaholic” from Atlanta, with two daughters, Peyton (5) and Harper (3 months). Having partnered with the likes of Neiman Marcus and Pandora, Trina’s family-oriented blog, The Baby Shopaholic, promises the best in fashion and trends for babies, kids and mums, while also offering heaps of lifestyle advice, including travel tips, interior advice and food inspiration. 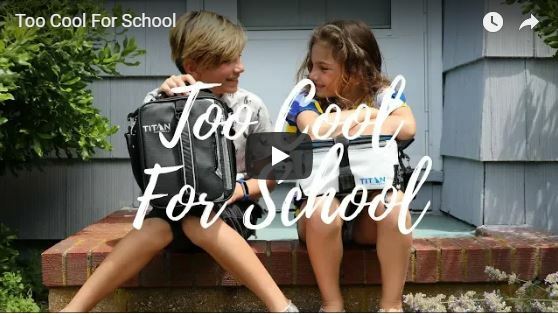 Trina posts breakdowns of her own looks, while also giving back-to-school style advice for kids featuring her own two daughters in a casual, informal and friendly way. On the lifestyle side of things, Trina shares health and fitness advice which ranges from yummy-but-healthy recipes to details of her own personal fitness journey. And, if you’re looking to stay even more up to date with all of Trina’ activity, you can follow her on her socials. Her Instagram @babyshopa has almost 20k followers, while she also regularly posts on her Twitter (@babyshopa). This one is perfect for those of you looking for on-trend inspiration along with honest, open advice from a fashion-savvy mum obsessed with kids’ style and fashion trends. Mini Style was founded by two mums, Jamie and Megan, and is a blog dedicated to both kids and mums. 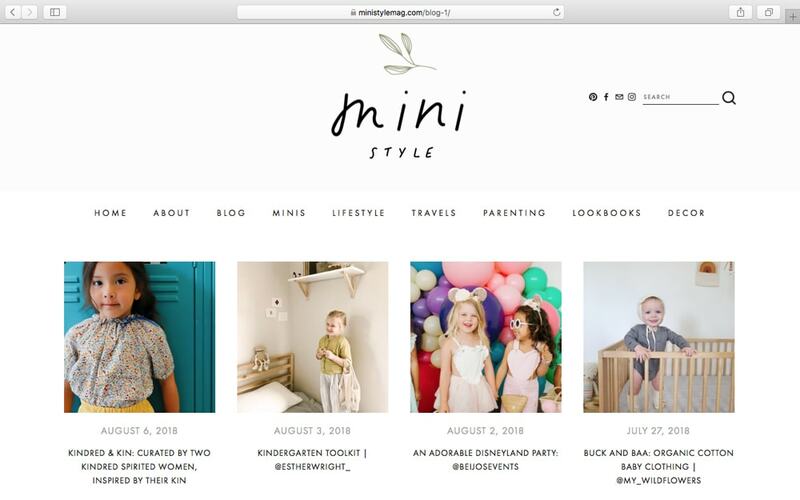 Like other blogs, Mini Style is categorised into helpfully labelled sub-sections, including ‘Blog’, ‘Lifestyle’, ‘Travel’, ‘Parenting’ and ‘Lookbooks’. The ‘Blog’ and ‘Minis’ sections are where you will find posts full of inspiration for kids’ style, from babies to tweens, but do note that this blog is slightly more tailored to younger children. The ‘Lifestyle’ section includes ideas for kid-friendly recipes, crafts and DIY, while ‘Travels’ can help you out on holiday, but on the downside, there are relatively few posts in these sections. Lastly, you can also find Mini Style on social media. 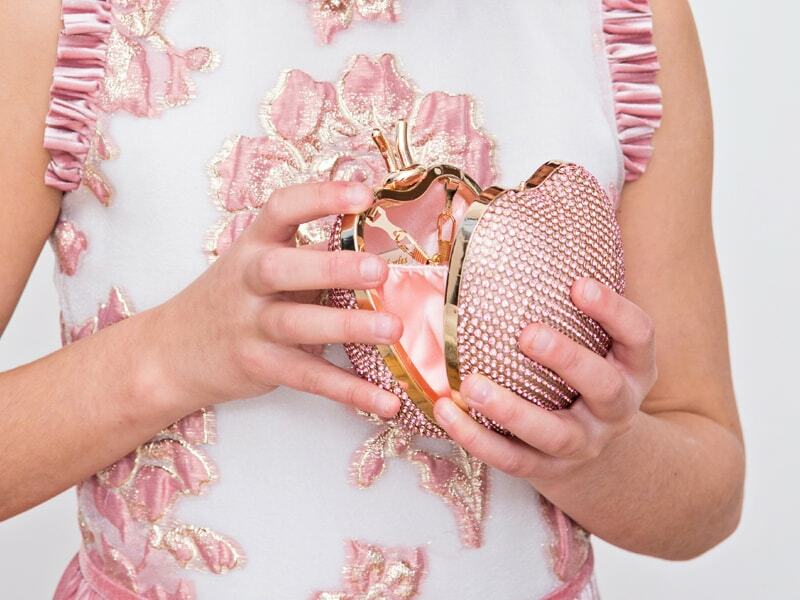 Most notably, their Instagram @ministylemag has almost 300k followers and posts pictures daily full of ideas for all your kids’ and parents’ fashion and lifestyle needs. 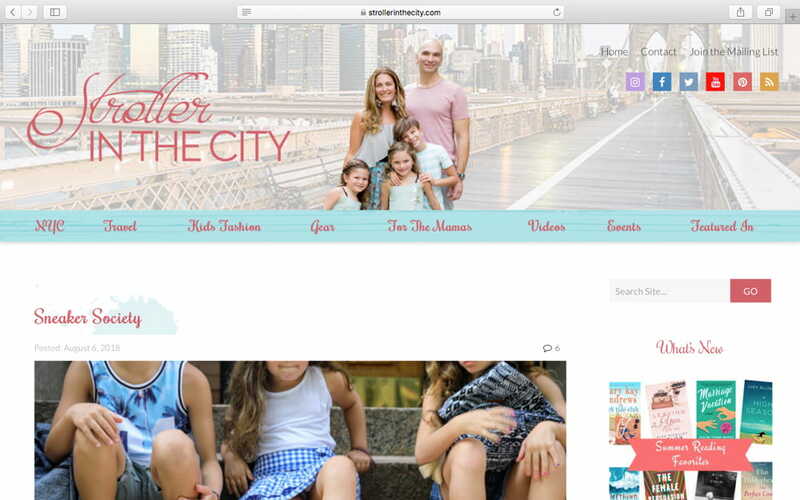 Ex-fashion showroom owner, and now mum and blogger, Brianne Manz, began her blog ‘Stroller in the City’ as a way to talk about living in New York City with her husband and children, family travel, kids’ fashion and advice for mums. SITC has been so successful that it has been featured on The Today Show, E! News and even in People Magazine, ensuring that Brianne’s blog is a go-to. Again, SITC is usefully divided into categories which help you easily navigate things such as kids’ fashion, fashion and lifestyle tips specifically for mums, and, more uniquely, a guide to NYC that is kid and adult friendly. Brianne’s background in the fashion industry means that her advice is trustworthy, and her style pieces always give her honest opinions. Another positive of SITC is that it is great fun to read and look at; full of bright colours, a website is a place of positivity, and everyone in Brianne’s posts always looks they genuinely are enjoying themselves and love the clothes they’re wearing. It’s so important for both kids and parents alike to be happy and comfortable in what they wear, and Brianne seems to get this balance right between form and function – no airs and graces to be found. The Mummy Adventure was founded by Bex, a 30-year-old mum and English graduate with four young children. Bex started using blogging as a way to pass the time “during the night feeds” and document her family’s adventures, from the everyday activities to special moments including travel, which is one of her passions. We are officially saying goodbye to the baby days (and to be honest they were probably over a while ago). Yesterday my last baby turned 2 and we celebrated with a huge party in the back garden and a bouncy castle. She had the best day and is a bit gutted there wasn’t two rounds of cake again today! This board was sent to us as a gift from @_partyswan_ and Cora loved pointing at the ‘baby’. I don’t think it clicked that they were all her! Happy 2nd Birthday Cora! 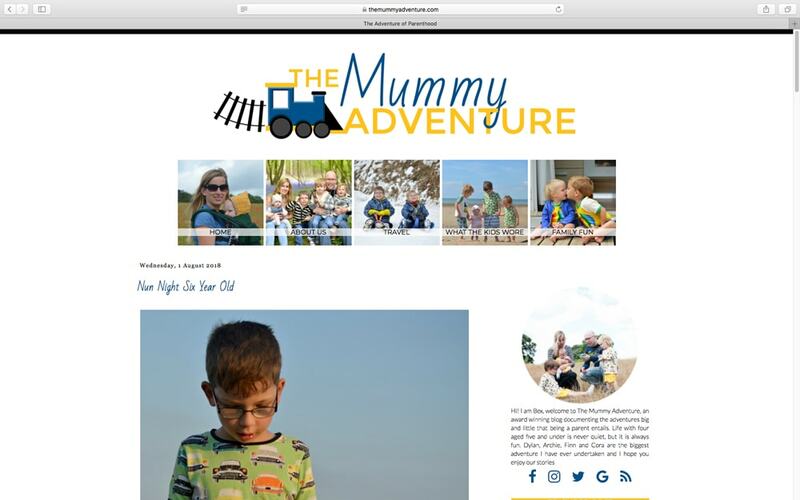 Each of Bex’s children has their own individual and unique personalities, and this is captured perfectly on The Mummy Adventure through three main categories of ‘Travel’, ‘Family Fun’, and ‘What the Kids Wore’. The first two of these categories are full of practical ideas for you and the whole family; what’s really great about Bex’s blog is that it’s an accurate representation of a normal family dealing with the ups and downs of living with small children. Then there is ‘What the Kids Wore’, which tells you exactly that. While not necessarily giving you information on current kids’ fashion trends or popular styles, Bex manages to capture each of her kids’ personal styles, which is great for offering inspiration for casual looks that are age and activity-appropriate (https://www.themummyadventure.com/2018/07/what-cora-wore-bambinista.html). In sum, TMA is the perfect, honest guide to parenting and kids’ style for what they will be comfortable and happy wearing, but if you don’t have time to read the blog posts you can always follow Bex’s Instagram @mummyadventure (where she has almost 15k followers) for lots of visual inspiration. Thanks for checking out our ‘kid’s fashion trends in 2018’ look at our favourite Instagram accounts and kids fashion blogs. We hope you found plenty of new fashion tips for your little ones.